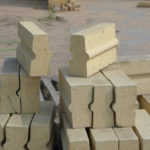 Zircon brick is a kind of refractory brick made of natural zircon as raw material and soft clay as binder. It has excellent corrosion resistance, good wear resistance, slag resistance and thermal shock resistance, and a small coefficient of thermal expansion. 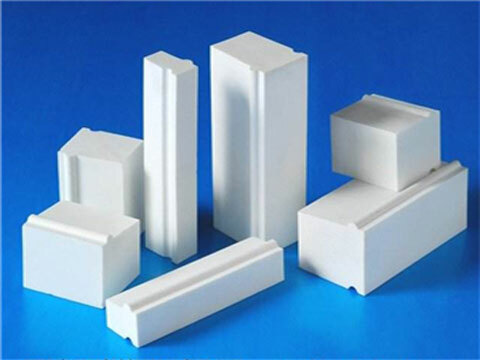 Its refractoriness is more than 1790℃and operating temperature is not less than 1550℃. 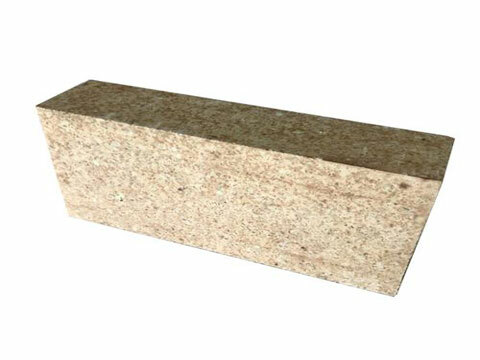 Zircon brick is suitable for masonry steel drum lining, high temperature induction furnace lining, and aluminum smelting furnace bottom. 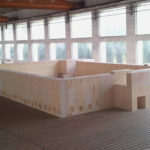 It can also be used in areas where the glass tank kiln is easily damaged. 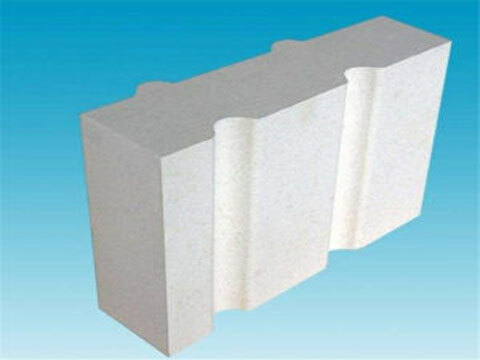 If you have any needs about this refractory product, Please feel free Contact us for free quotation. 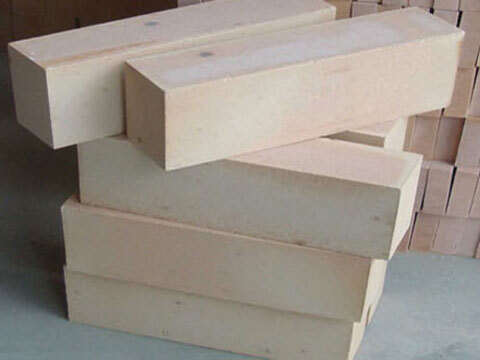 Using partially stabilized zirconia and zirconium corundum clinker as raw materials, zircon bricks for sale in RS Company are fired at a high temperature in a shuttle kiln through kneaded, formed, dried. 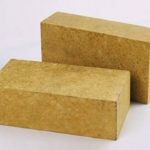 Zircon brick has the advantage of dense crystal structure, high bulk density, large volume, high mechanical strength at normal temperature and high temperature, good thermal shock stability, low reburning shrinkage and high temperature creep, and high chemical stability, etc. 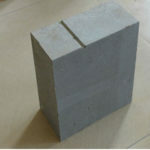 Zircon bricks can be used as the furnace bottom of aluminum smelting, mainly because zircon bricks have properties that are not eroded by the oxides of metal aluminum and their slag. 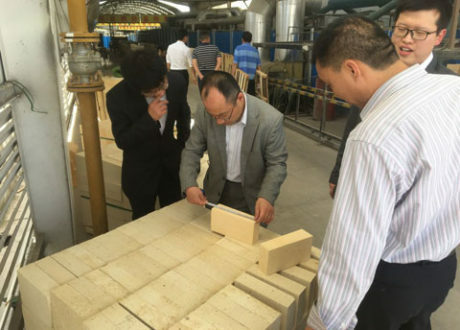 Besides, Zircon bricks can also be used in paving bricks in glass kilns or in areas that are heavily eroded by molten glass. 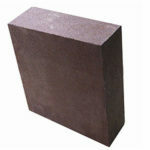 Apart from zircon bricks, dense zircon brick is also for sale in RS. 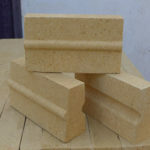 Dense zircon brick is made by isostatic pressing technology, and it has excellent performances such as high temperature resistance, good thermal shock resistance and resistance to glass liquid erosion. 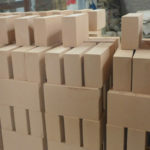 Mainly used in the bottom of alkali-free glass and borosilicate glass pool kiln, the upper space brick, the hook brick, the gap brick, the runner brick, the thermocouple brick and the observation hole brick,etc. 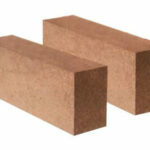 Zircon brick is widely used in the non-metal materials industry, petrochemical industry, iron and steel smelting, military industry, electronics industry and so on. For example it can be used as metallurgical industry silicon steel heating furnace lining, petroleum industry hydrogen furnace, gasification furnace high temperature equipment insulation lining, hard alloy intermediate frequency furnace insulation lining, etc. 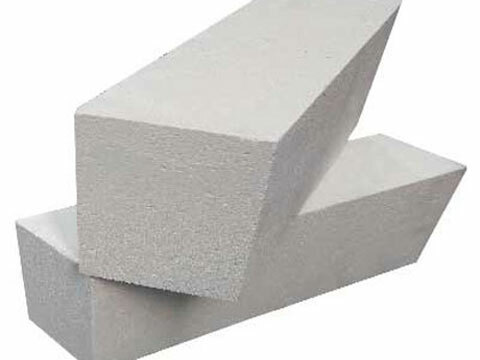 Masonry degassing steel drum lining, stainless steel ladle lining, continuous casting steel drum lining, casting brick, plug brick, sleeve brick and high temperature induction furnace lining. The paving brick or the back wall of the glass kiln, the material around the feeding port, areas that are heavily eroded by molten glass. The furnace bottom of aluminum smelting because zircon bricks have advantages that are not eroded by the oxides of metal aluminum and their slag. 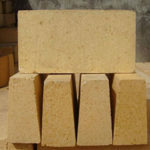 The sintered zircon brick is sintered by using natural zircon sand (ZrSiO4) as a raw material. 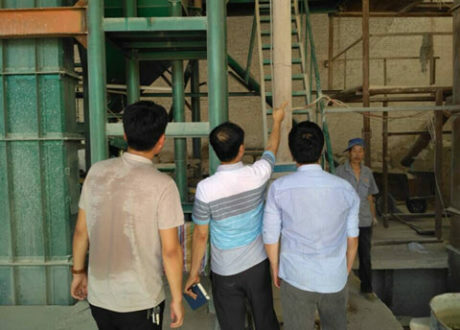 The theoretical composition of zircon is ZrO2 67.2%, SiO232.8%, HfO30.5-3.0%, TiO20-1% and trace rare earth oxides with trace radioactivity. The crystal of zircon (ZrSiO4) is a tetragonal crystal, and the crystal form is usually in the shape of a quadrangular prism, whose colors have reddish purple, brown, yellow, gray, and so on. 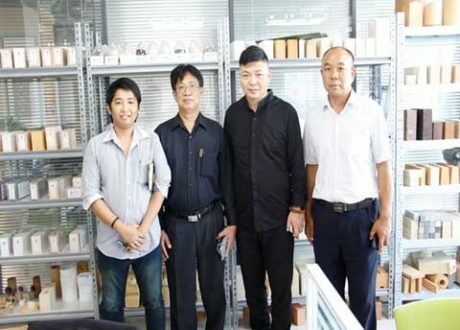 The zircon raw material used for producing zircon bricks requires a purity of 98% to 99%, wherein the content of ZrO2 should be greater than 63%, and the lower the impurity content, the better. 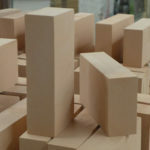 When manufacturing zircon bricks, the pure zircon fine powder is first pressed into a compact, calcined at about 1600℃, then crushed, shaped, and finally fired. 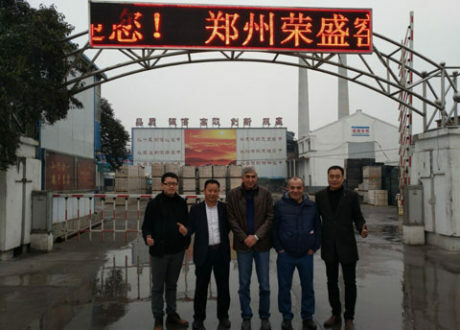 Rongsheng Refractory has professional sales and after-sale service team who provide customers all-around service about product application, construction installation and operation technology training etc. Our reputation built in the past years through: Russia, Iran, Vietnam and India, etc. You can always get Feedback from our customer in these countries before dealing with us. 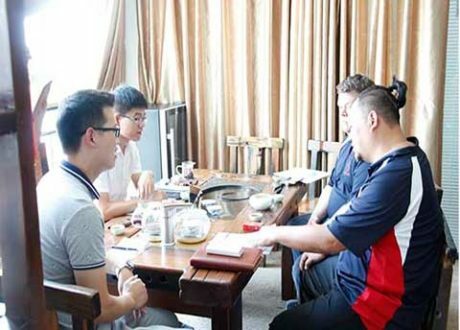 We can provide you the best price, and what you will get from us is our best effort in service and the hospitality that you are willing to become our friend. So choosing us is the right choice for you. If you are interested in our products or if you have any questions, pls feel free to Contact us at any time. We will reply as soon as possible.